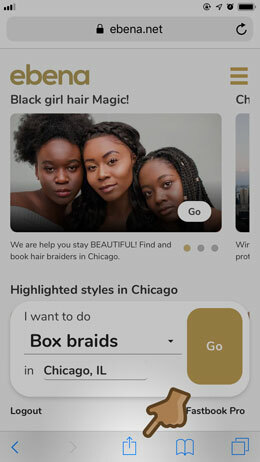 Ebena is a web application which means that it works on any phone, tablet and computer. 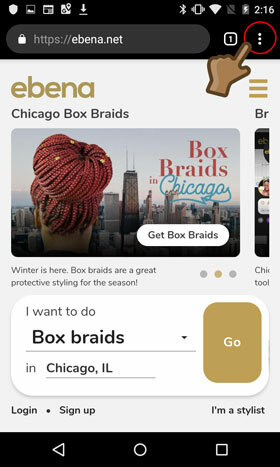 To add Ebena to your iPhone or Android phone is very easy. It all start with your standard web browser. 1. Open Safari and go to ebena.net. If you already are on Ebena, make sure to be on the home screen. 2. At the bottom of the screen, click on the blue square with an up arrow icon. 3. A box will appear. 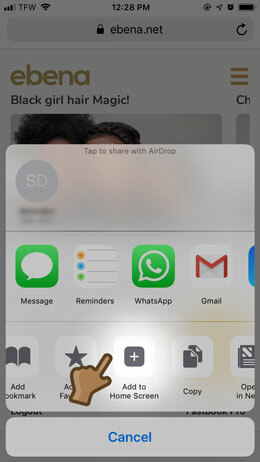 At the bottom row, click on "Add to Home Screen"
4. You will see Ebena's logo and details. Click on Add on the top right. 5. Voila! 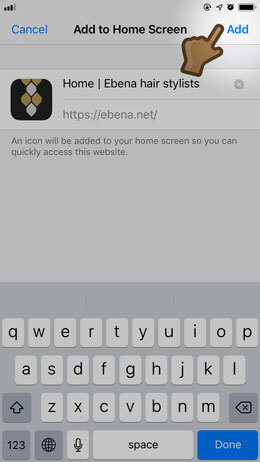 Click on the Ebena icon to launch the app. 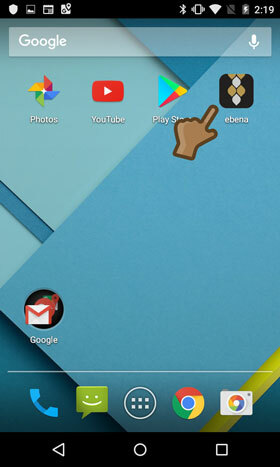 Ebena is now on your home screen at your fingertips. 2. 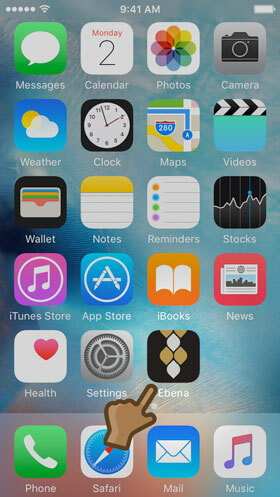 Click on the 3 vertical dots menu icon at the top right of the screen. 3. 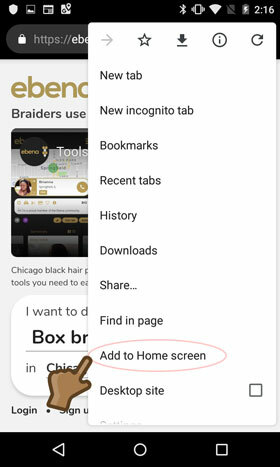 Click on "Add to Home screen" from the menu list. 4. 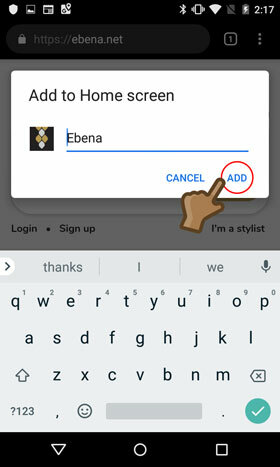 On the pop up screen, you will see the Ebena Logo and you can edit the name. Click Add. 5. The Ebena link is now installed on your home screen. Click on it to start using Ebena.